For the second part of the Chimney Rabbit Best of 2013, I’m covering adult books – which is to say, any fiction I read this year that wasn’t a comic and wasn’t a children’s book. A note on eligibility – I’m including only those books I read this year for the first time. Any re-reads (for example, the long list of Iain M. Banks’ Culture books I read this year) aren’t covered – otherwise the list would be dominated by The Player of Games, Use of Weapons and Excession. For other reasons, I’m excluding Banks’ last novel, The Quarry – the circumstances of its publication make it impossible for me to evaluate it on its own merits. The year of publication has no bearing on this list, though – whether it was published in 2013 or 1813, if I read it for the first time this year, it’s eligible for inclusion. 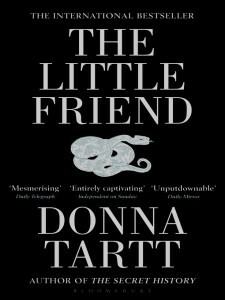 Donna Tartt’s The Little Friend isn’t her latest book – but when The Goldfinch came out after a ten-year gap and I realised I hadn’t got around to reading the previous book, I thought it was about time. I read her debut, The Secret History, when it came out about 20 years ago – well, it was about a bunch of Classics students, and it came out right after I’d finished my own Classics degree, so it was pretty much mandatory reading. A lot of people were disappointed in The Little Friend – difficult second album syndrome I presume – which is probably one of the reasons I put it off for so long. Which was, of course, silly of me. It’s a fantastic book. It tells of Harriet, a young girl living in Mississippi in the 1970s with her extended family of eccentric Southern ladies, and her amateur sleuthing in trying to find the killer of her brother, who was murdered when she was just a baby. It’s full of the discoveries and misconceptions of childhood, of the arrogant confidence of the clever child who can’t understand why no-one else sees the world the way she does. It’s a long, meandering story, and Tartt goes off on entertaining diversions amongst the other inhabitants of the town, but it always comes back to Harriet, and the book succeeds or fails on whether you take to her. Rivers of London, by Ben Aaronovitch, is a police procedural wedded to urban fantasy. Peter Grant is a relatively new officer in the Metropolitan Police who gets caught up with, then recruited into, a branch of the Met that deals with the supernatural. 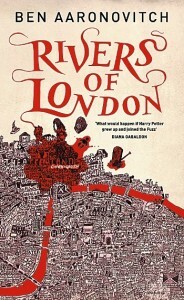 But where this book really catches your attention is in the depiction of London and its layers of history and mythology. The rivers of the title are personifications of the Thames and its tributaries – genii loci who form a part of a London supernatural underworld. The book is at its best when it deals with the mythology, and at its weakest when it comes down to the chase-the-bad-guy denouement, but overall it’s a cracking read that should appeal if you have any affinity for London and its mythic past. James Oswald’s crime debut, Natural Causes, is a wolf in sheep’s clothing. The cover of his forthcoming book The Hangman’s Song includes the quote “The new Ian Rankin”, but to be honest he’s got more in common with Aaronovitch than Rankin. 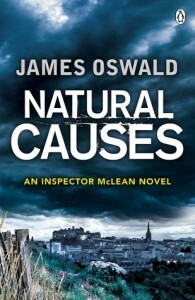 There’s no indication from the cover that this is anything other than a conventional detective novel, that Inspector McLean is particularly different from Inspector Rebus, but by the end of the book the irrational aspects of the case have taken on a completely different light. Some reviewers have complained about the bait-and-switch of genre, but I loved it – it’s like an episode of Scooby Doo where the monster isn’t Old Man Smithers in a mask, but an actual monster. Saladin Ahmed’s debut novel, Throne of the Crescent Moon, is a fantasy with a distinct Arabian Nights, Middle-Eastern flavour. Adoulla Makhslood is old, and fat, and tired, but he’s the last of the ghul hunters in the city of Dhamsawaat, so when the monsters threaten, he has to take up the mantle of hunter once more with his young, aggressive and zealous sword-fighting companion Raseed. Throne of the Crescent Moon is a breath of fresh air compared to the identikit “Western Europe in the Middle Ages” settings of much contemporary fantasy. The story of Adoulla, Raseed and the orphaned shape-shifter girl Zamia provides all you could want – adventure, intrigue, and conflict – with a real moral complexity where Raseed’s intolerant zealotry comes up against Adoulla’s tempered, experienced realism. 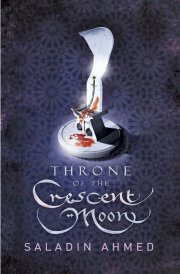 The second volume is coming – sometime – and I can’t wait to read more about the Crescent Moon Kingdoms. 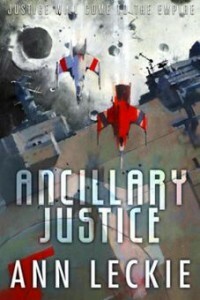 Ancillary Justice by Ann Leckie is a space opera with a brain and a heart. Sometimes unfairly compared to Iain M. Banks because the book features an AI-based starship (as if AI starships were an invention of Banks), nevertheless it certainly does push all the buttons for the fan of the Culture’s Minds who might be looking for their fix elsewhere. The starships of the Radch are controlled by artificial intelligences, distributed throughout the ship and through the ancillaries – former human bodies, now inhabited by a portion of the ship’s consciousness in a tightly-bound network. When the unthinkable happens, and the ship Justice of Toren is destroyed, leaving only a single body, One Esk Nineteen, there is no other choice for the last ancillary but to seek vengeance on the person who had them killed. One interesting quirk of the book is that the Radch language has no gendered pronouns, so everyone is referred to as “she” or “her”, which takes a little time to adjust to. It’s not quite on the same level as the exploration of gender in The Left Hand of Darkness, but it’s an intriguing extra element to the society. It also provides a little humour when One Esk becomes frustrated when she can’t tell the gender of people when the markers – clothing, hair, make-up, speech – differ so much from society to society, and she struggles with the concept that people get offended if you guess incorrectly. Possibly the finest bit of writing occurs in a flashback when the Justice of Toren is still in command of her complement of ancillaries, and the point of view flicks from body to body seamlessly without even scene breaks – it provides a glimpse (but only a glimpse) into what it must be like to inhabit so many points of view simultaneously. If you like space opera to have a bit of intelligence and to challenge some of your preconceptions, this is the book for you. The best news is that a sequel is in the works – Ancillary Sword – with a third volume to come called Ancillary Mercy.